Lab suppliers working to increase life science sales leads and sell lab equipment in Utah may be interested in Biotechnology Calendar, Inc.’s upcoming University of Utah life science marketing events. Our annual Salt Lake City BioResearch Product Faire™ Event is quickly approaching on August 15, 2013. Lab suppliers will find that the University of Utah has a great deal of funding available for lab supplies and other research needs. According to the National Association of College and University Business Officers, the University of Utah’s endowment was $670.4 million in 2012. This represents a .3% increase from the previous year. The University of Utah has over 80 centers and institutes conducting groundbreaking work in a number of fields, including the life sciences. According to the University of Utah webpage, some of the science research centers and institutes at the university include the Center for Biomolecular Interaction Analysis, the Cardiovascular Research and Training Institute, the Huntsman Cancer Institute, the Intermountain Cystic Fibrosis Center, the Matheson Center for Health Care Studies, the Pain Research Center, the Center for Pediatric Nutrition Research, the Utah Center for Reproductive Medicine, and the Center for Water, Ecosystem and Climate Science. The University of Utah also receives a great deal of funding from outside sources, such as the NIH and NSF. In 2012, The University of Utah received $150.9 million in research funding from the NIH. For the convenience of our readers, we have composed a list of some of the top-funded science research departments funded by the NIH. For a full list of departments receiving funding organized by department name, number of awards received and total funding awarded, please visit the NIH website. Pharmacology – 29 awards, $9.7 million. 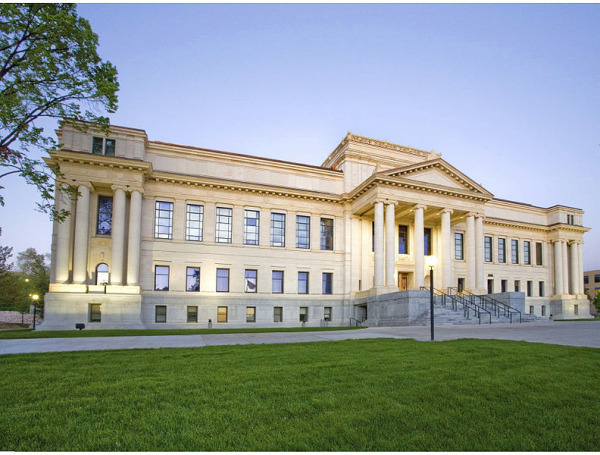 In addition to receiving $150.9 million from the NIH, the University of Utah also received $34.6 million from the NSF. The projects receiving funding varied across a number of disciplines, but the best funded life science project concerned macrosystem biology and was titled “Integrated Training for Continental Ecology: Bridging Scales and Systems with Isotopes.” This project received $2.2 million in research funding. For more NSF funding information on the University of Utah, including projects receiving funding and their specific funding numbers, please visit the NSF website. If you are a lab supplier working to increase life science sales leads and sell lab equipment, Biotechnology Calendar, Inc. invites you to attend our annual Salt Lake City BioResearch Product Faire™ Event on August 15, 2013. Last year, the Salt Lake City BioResearch Product Faire™ Event attracted 200 attendees, of which 56 were purchasing agents, professors and post docs, and 20 were lab managers. The visitors came from 15 research buildings and 28 departments across campus. Biotechnology Calendar, Inc. is a full-service science research marketing and events-planning company that organizes life science marketing events at top research institutions nationwide. If you would like to increase life science sales leads and sell lab equipment at life science marketing events closer to home, we encourage you to view our 2013 calendar of events. For more information about the Salt Lake City BioResearch Product Faire™ Event or detailed funding statistics on the University of Utah, click on the button below.